Frydenberg maintained a relatively optimistic outlook for the economy, though he conceded there were risks including from falling house prices and global risks such as Brexit. The Government forecast full-year economic growth of 2.25% in 2018-19. Growth in the $1.9 trillion economy is seen picking up to 2.75% in 2019-20 and 2020-21. The tax cuts and increased spending, if enacted, could offer a boost to the economy, as consumer spending has been soft recently as falling home prices and high debt levels weigh on sentiment. Financial markets have priced in a rate cut later this year. The Government announced two main changes to deliver personal tax relief. More than doubling the low and middle income tax offset up to $1,080 from 2018-19. Taxpayers earning up to $126,000 a year will receive this tax cut. The Treasurer said that for a single income family, this means up to $1,080 in their pocket per year and for families on a dual income, up to $2,160. The instant asset write-off has increased to $30,000. 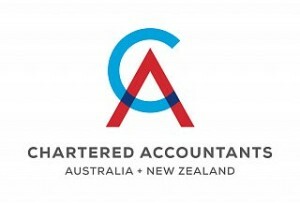 Small business entities (ie those with aggregated annual turnover of less than $10 million) will be able to immediately deduct purchases of eligible assets costing less than $30,000 that are first used, or installed ready for use, from Budget night (ie 2 April 2019) to 30 June 2020.